The V1 Helmet from Fox Racing is all new and features the next step in helmet safety, The exclusive Magnetic Visor Release System (MVRS) from Fox. The standard three-screw configuration has been replaced by magnets that allow the visor to release from the helmet in the event of an impact, yet are strong enough to keep the visor intact to shield you from roost and the elements. Additionally, injection molded polycarbonate shell construction, four shell sizes and four EPS sizes offer the rider a custom fit without a custom price tag. 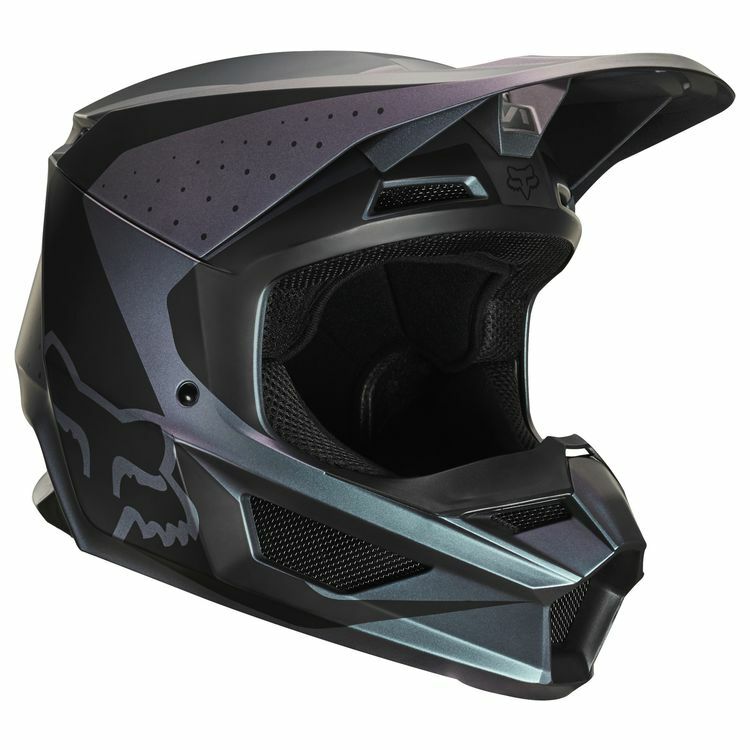 The Fox Racing V1 Helmet is a comfortable, performance driven dirt lid that goes above and beyond in terms of protection and value.